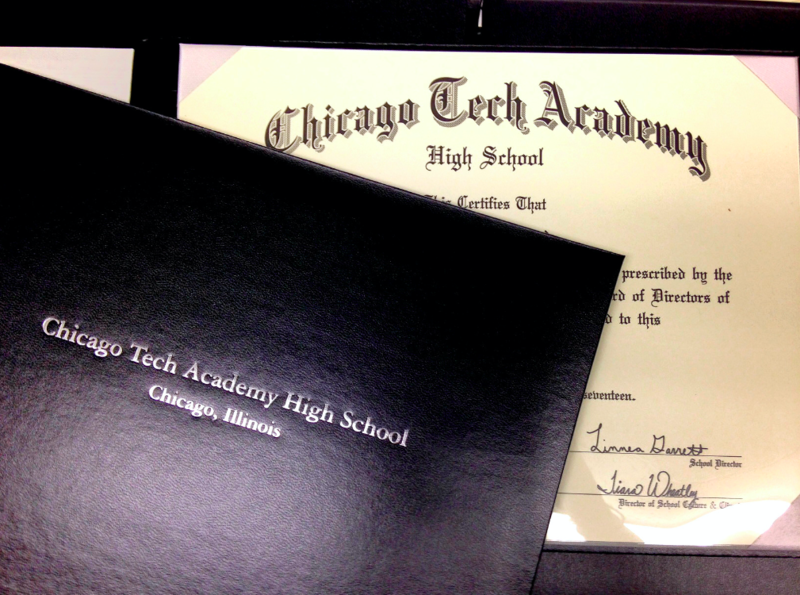 The Chicago Tech Academy High School class of 2017 will send 74 graduates across the stage at 2 p.m. this Saturday, June 10 at Hermann Hall, located at the Illinois Institute of Technology. Also, one student has chosen to serve in the United States Army, and we’re sending a few to technical trade schools and 2-year institutions. This class has numerous successes under their belts. To name a few, Deandre Allen received several entrepreneurial awards including a finalist spot in the 2017 RFK Urban Education Awards; The seniors in Young Women’s Leadership Society, Rodnisha Clifton, Makesia Gavin, Paris Johnson, Carribean Malone, Shemaiah McCall, Tijadah Nelson, Jonise Peoples (Salutatorian), Patrice Smith and Aria Walker networked with over 365 STEM professionals at the 3rd Annual Little Black Dress Night; Robert Allen, served as the Class of 2017 delegate and led the planning committee for ChiTech’s first ever Chicago Ideas Day in partnership with CIW YOU(th) and Chicago Ideas Week; Tyler Wilson (Valedictorian)., won a scholarship competition with CNA Insurance. 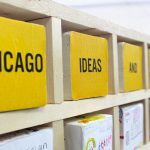 In addition, all eligible seniors participated in month-long internships with partner organizations like BlackTech Mecca, DDB WorldWide, CNA Insurance, 25th Ward, Actualize, and TechNexus. Of course, these accomplishments are only a small sample of all the incredible talent at ChiTech. The ChiTech faculty, staff and leadership are immensely proud of the graduating seniors and all their wins over the last four years. School Director Linnea Garrett will be the master of ceremonies, and several academic awards and honors will be presented to seniors and community members. The commencement address will be given by Brendan Karp, the current chief of staff at TechNexus. Newly-appointed school CEO Lane Russell will also be delivering remarks. Director of School Culture and Climate, Tiara Wheatley, and school counselor Reco Bates will present the graduates with their diplomas. Senior Aurice Blanton will orchestrate the matriculation of the graduates. ChiTech administration, faculty, staff and board of directors will be present on stage.